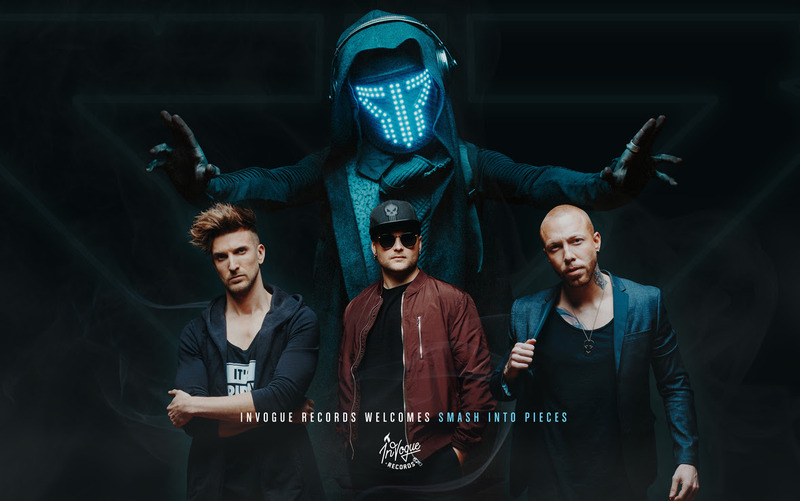 InVogue Records proudly welcomes Sweden-based band Smash Into Pieces. The band blends elements electro & rock to create a very melodic sound with singalong anthems. Smash Into Pieces consists of Chris Adam Hedman Sorbye (Lead Vocals), Benjamin Jennebo (Guitar/Vocals), Per Bergquist (Guitar/Vocals), and The Apocalypse DJ (percussion). The band was founded by The Apocalypse DJ who has caught the attention of press & fans with his unique look & technology incorporated into his live performance. SIP's last full length album "Rise and Shine" was released worldwide in January 2017. The album has collected over 12.5 million streams on Spotify alone. The band released a follow up single "Boomerang" that has gathered over 1.8 million streams in a short period on Spotify. "We always try to find different types of artists for the IVR roster. We have never signed anything like Smash Into Pieces so I'm very excited to put something different out there for us. Great guys making great music, honored to be a part of what they are doing."